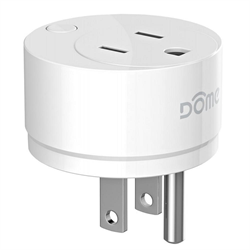 Save energy and money with the DMOF1 plug-in On/Off switch from Dome. Using Z-Wave Plus technology, this switch gives you control over lamps and small appliances for up to 13A/1,560W. In addition to this, it will also allow you to monitor power consumption so that you know exactly how much electricity is being used. Its compact and ergonomic design also mean it will not block the other receptacle from use. This switch is Z-Wave Plus certified to allow compatibility with most Z-Wave certified automation controllers such as Vera, SmartThings, HomeSeer, Nexia, etc. 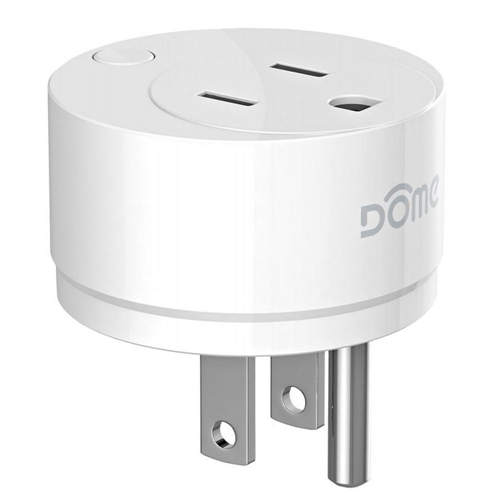 allowing for powerful automation that can shut off small appliances and lamps when you arm your alarm to Away Mode or other programmed scenarios. Z-Wave Plus also means an improved wireless range as well as an improved response time due to an increased bandwidth. NOTE: Requires a Z-Wave certified hub to operate.